Earlier this year, Detroit Tigers slugger Miguel Cabrera was sued in Orange County (Fla.) Superior Court for not providing sufficient child support for the two children he allegedly fathered with Orlando woman Belkis Rodriguez. The Detroit News first reported on the lawsuit this morning. Cabrera has been married to his wife Rosangel since 2002 and the couple have three children. According to Rodriguez’s suit, Cabrera fathered a child with her in 2013 and another in 2015. He had been paying her child support since 2013; however, he decreased those payments to $6,400 per month earlier this year after he helped her buy a house in Florida. She accused him of leaving her “high-and-dry” after decreasing the payments to an amount that left her struggling to pay her expenses. Rodriguez took out a mortgage for a $924,774 house in Orlando in April, and while she admits she could only buy the house because of Cabrera’s help, the monthly expenses were too hefty. 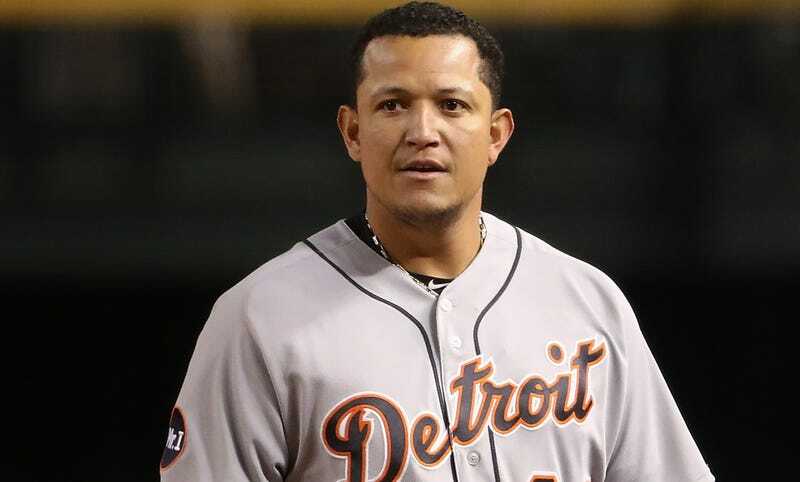 Cabrera has accused Rodriguez of extorting him and demanded paternity tests to determine whether or not he is the father of the two children. “There is no reason for the respondent’s private information to become part of a public record other than to harass and/or embarrass the respondent, and potentially damage his career,” [Cabrera’s lead attorney, Benjamin] Hodas wrote in a Sept. 19 filing. According to Florida statute 61.30 (2)(b), someone with a net income of over $10,000 per year and two dependent children owes 7.5 percent of their salary. Since Cabrera makes $30 million per year on his current deal, he would technically owe Rodriguez $2,250,000 annually. However, Cabrera’s legal team has argued that he should owe less than the required amount. Cabrera and his attorneys have tried to get the case thrown out, but he is currently scheduled to appear in Orlando on Thursday for a deposition. The full case file can be found here.